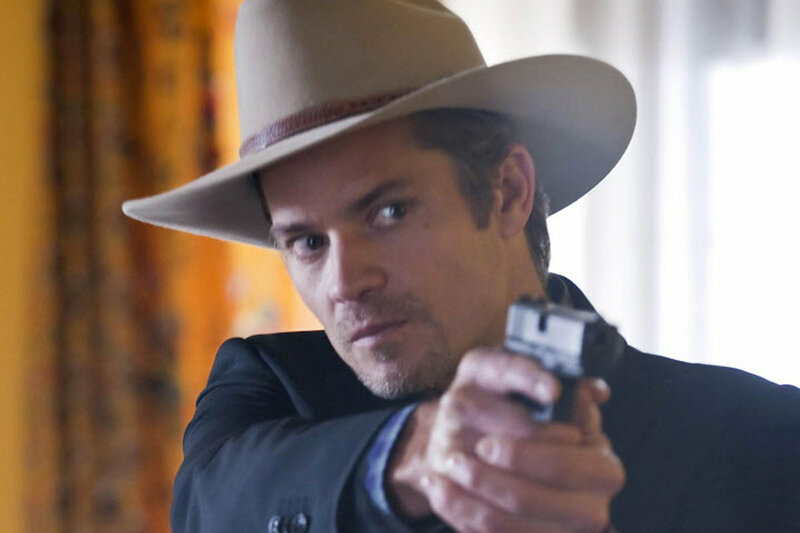 Share the post "The Body Count is as High as Expected"
I keep debating whether or not to pick up one of the Raylan novels/stories, because I do love Justified so much. But I’m also not sure I want to because I love the show so much, if that makes sense. Still, you could post pictures of Timothy Olyphant all day and I wouldn’t complain in the slightest. Damn that man can wear a hat. I understand your dilemma entirely. I started reading these because Leonard was over 65 when he wrote Pronto, the first Raylan book, and that was one of the tasks in last year’s Read Harder Challenge. I would say start with that one and then decide. Its Raylan in Miami before the series picks up. BUT, its a bit dated. The Miami/South Florida that Leonard is describing is accurate… to when it was published. I reviewed it last year for CBR, so you can search for it if you like.